Ecobond strengthens soil and makes it water resistant. It harvests and stores rain water. 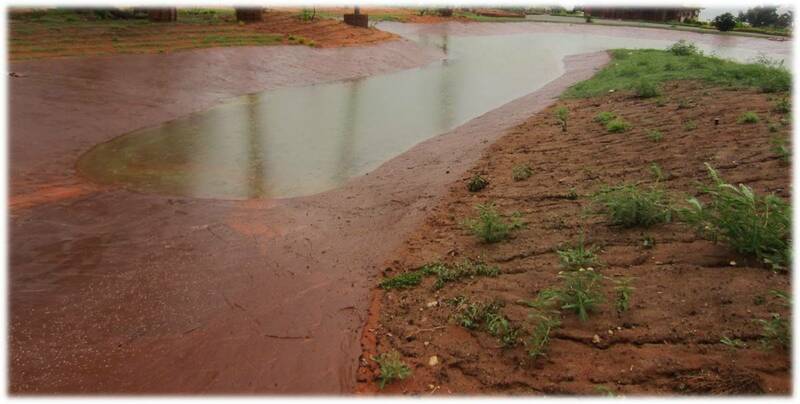 Ecobond ponds also treats waste water at low cost. It also provides road layers, dust control and many other innovations. The use of Ecobond for more durable National, Provincial and Municipal roads at lower cost. SA Development Bank is requested to grant funds for feasibility study. SADB is requested to coordinate 14 government departments, donors and private sector to implement Foodmaker System and roads just like all their other products. United Nations IFAD and their 37 associates implement through their existing structures. Techneco supplies Ecobond soil stabilizing innovations since 1999. The quest started in April 1994 when Presidents Mandela and de Klerk asked every South African to do what he or she can to improve conditions for our people. Ecobond Foodmaker System-The rain water does not penetrate in it, but runs off to an Ecobond lined pond. More rain water flows in Ecobond treated channels from driplines under roofs and from next to roads. Ecobond PondLiner-80% of all sewage worldwide is not treated. 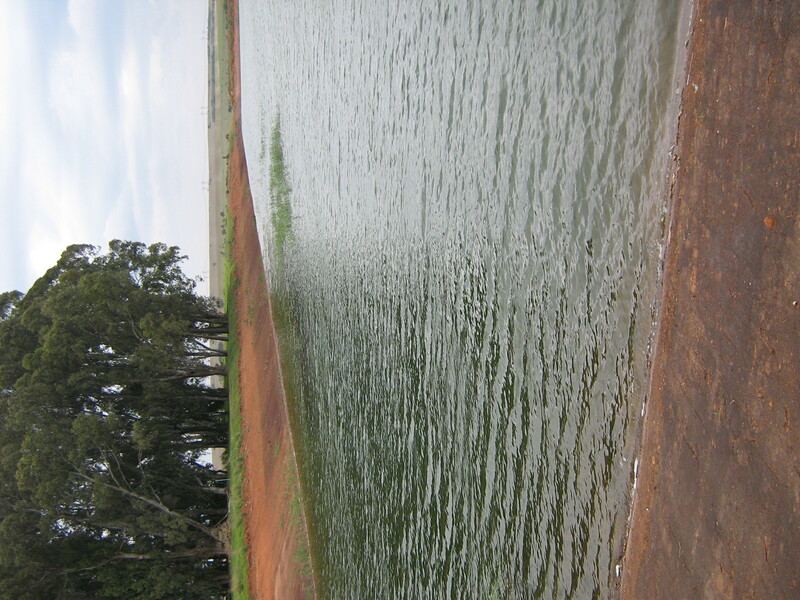 Ecobond uses local soil and labour to store water or treat waste water at very low cost. Ecobond BituForce -stabilizes durable bases and layers in road structures. Ecobond DuraGrav- makes gravel roads better and more durable at low cost. Ecobond SprayOn – effectively controls dust. Ecobond BituForce bases and sub-bases on surfaced pavement structures make roads more durable at reduced cost. Ecobond DuraGrav gravel reduces re-graveling costs. It is cheaper to re-gravel once in 10 years instead of 2 or 3 times. It reduces or eliminates dust and corrugations. One average Ecobond Foodmaker system harvests 250 000 litres p.a. (SA average rainfall) and stores 80 000 litres for 2 families at US$1200. Rural people can then create their own jobs, food and income. Ecobond Dust Control sprays builds up cumulatively reducing costs with fewer sprays. The haul road with an Ecobond base has carried 1000 trucks and 3000 other vehicles daily for 20 years (>50 million axle loads) and is still in excellent condition. The elephant pond at Savuti, Botswana, carried the heavy traffic well since 1996 after they trampled the concrete lining into the mud. Ecobond papers have been published in the Engineering Journal (SA) and widely studied and discussed by leading engineers and specialists in these fields in SA and abroad. Ecobond is patented in major countries and further patent applications have been lodged. Ecobond knowhow is considerable with 127 innovations.